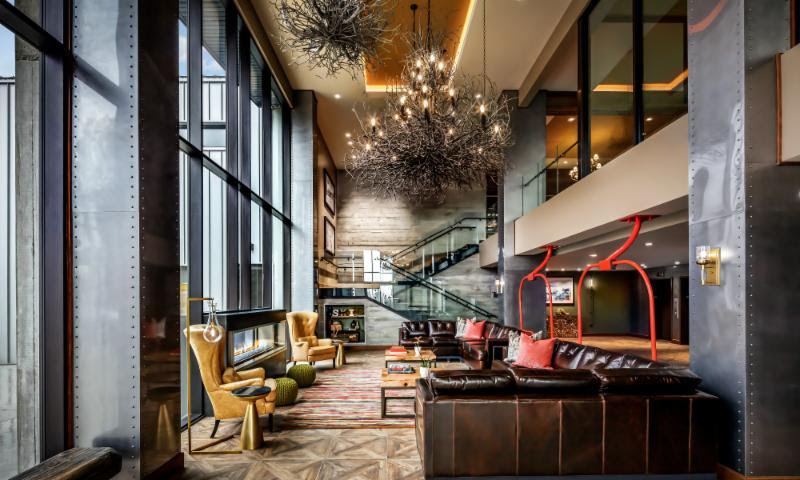 The Josie, North America's newest boutique ski-in, ski-out hotel, has opened her doors and is ready to welcome guests. Inspired by the raw beauty of her home in Rossland, she beckons locals and visitors alike with carefully curated amenities, welcome-home service and a coveted location, mere steps from RED Mountain Resort. 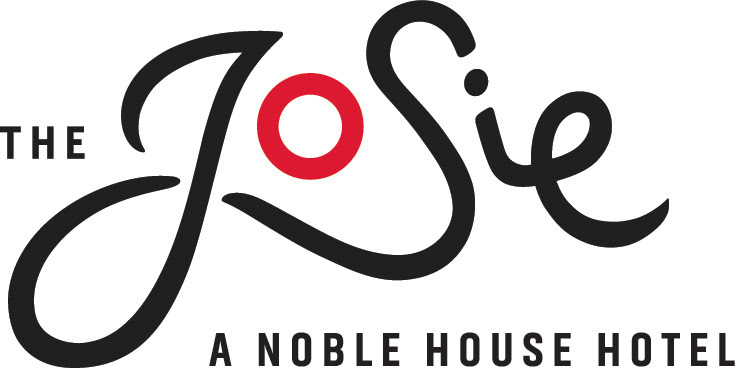 Born from a partnership between William Cole Companies and Noble House Hotels & Resorts, The Josie is the first of its kind to open in Canada in more than a decade. The property sits proudly at the base of RED Mountain Resort, the first stop along Canada's world renowned Powder Highway, opening to the public on December 8, 2018, inviting adventurers to leave the world behind and embark on an all-encompassing, authentic mountain experience. Visitors to The Josie will find 106 stylish appointed one-bedroom suites, guest rooms and studio suites designed by acclaimed architect Song Chia of FAB Studio (who studied in nearby Castlegar), and renowned hospitality interiors firm Design DMU, led by Kimberly Miller. Each room brings the outdoors in with earthy tones, rich panelling recycled from local wood, and floor-to-ceiling windows showcasing portrait-worthy panoramas of RED Mountain Resort, the Rossland Range and surrounding mountains. Guests will find a series of relaxing oases in the rooms' plush bedding, spacious bathrooms with deep soaker tubs and heated floors and cozy lounge areas; all necessary amenities after an invigorating day on the slopes. Visitors to Rossland, and long-established locals, will flock to The Velvet, The Josie's elevated dining offering. Here, Quebec-born Executive Chef Marc-André Choquette dishes up a regionally inspired menu infused with subtle French flair. His supporting kitchen team is comprised of seasoned hospitality experts, including Sous Chef Simon Watkins, Food and Beverage Manager Donald Haddad and Restaurant Manager Jessica Miles. Together, the team executes a memorable dining experience with flavourful culinary creations best-enjoyed family-style, including charred octopus and chorizo spiced with carrot purée and crispy chickpeas, as well as cut-to-order beef tartare. Seasonal and constantly evolving, the menu is enhanced by a carefully sourced wine list and mountain inspired cocktails, best enjoyed beside The Velvet's roaring outdoor fireplaces. Hot Toddy, anyone? Holding a special place in her heart for each and every traveller, The Josie is an idyllic home base for groups seeking an intimate and exclusive meeting space. Conference delegates, wedding parties and more will benefit from state-of-the-art technology, impressive catering and 1,516 square feet of flexible function space with a sprawling terrace equally suited to cocktail receptions, product launches or group yoga. Whether a day-long strategy meeting or mountainside wedding, all parties will be inspired by stunning views of the beckoning playground of RED Mountain, where there's always time for fun. All guests will receive complimentary access to the hotel's dedicated Ski Concierge, available around the clock to store snow gear, supply trail maps and craft ski itineraries tailored to individual interests. The concierge can also provide insider tips for local touring, which is highly recommended: after all, Rossland is consistently named among Canada's best towns for outdoor exploring thanks to abundant opportunities for hiking, mountain biking, fishing and of course, playing on the mountain. When RED Mountain Resort opens on December 8, visitors to the region will have more than 2,877 acres of pristine powder to explore. Maintained by 300 inches of annual snowfall, the winter wonderland is comprised of 890 metres of vertical terrain serviced by seven lifts and 110 runs spread across three peaks. In addition to skiing and snowboarding, visitors can indulge in an epic cat ski experience courtesy of Big Red Cats, one of the largest cat ski operations in the world. "After many years of planning, our team is incredibly excited to open The Josie's doors to visitors to Rossland and our locals," said Mark Bell, general manager of The Josie. "Our owners, Spencer Clements and David Segers of the William Cole Companies, visited Rossland in 2006 and immediately fell in love with the town. The Josie's design and architecture pays homage to the surrounding mountains, lush forests and endless sky and we look forward to sharing this with travellers joining us from around the globe. The hotel is truly a beauty to behold and I have no doubt guests will leave transformed, excited and already planning a return visit." Always evolving, The Josie will unveil her haven of relaxation in winter 2019, when the spa opens for business. A temple of serenity, it will offer a quiet and intimate retreat that looks out to soothing views of mountain and sky. Treatments will include the Red Flower Apothecary Massage Ritual, a personalized sensory journey whose aromatherapy oils are designed to rejuvenate the body and mind, and the Red Flower Lavender & Amethyst Pedicure, a luxurious experience that leaves guests revitalized with the intoxicating aroma of French lavender. Guests visiting in summer 2019 can cool off in The Josie's outdoor slopeside pool. U.S. travellers can travel easily to The Josie from Spokane Airport, which runs a daily winter shuttle direct to Rossland, with the scenic 2.5-hour drive. B.C. residents can fly into smaller nearby airports Trail and West Kootenay Regional Airport or, in winter months, travel to Kelowna International Airport and either take the 3.5-hour drive or travel by shuttle. For more information or to book your stay at The Josie, visit www.thejosie.com. She can't wait to welcome you.